Google and its partners offer devices and prototyping kits that simplify integration and make it easy to connect to the Google Cloud Platform. And with fully managed IoT services like Cloud IoT Core and Cloud IoT Edge you can securely connect, manage, and ingest data from globally dispersed devices. AE-CLOUD2 uses the Renesas Synergy S5D9 Cortex-M4 microcontroller. The kit can connect using cellular, Wi-Fi, or Ethernet and includes sensors for lighting, microphone, environmental, accelerometer, gyroscope, and GPS. The kit can be used for cellular applications globally as it has passed global RF tests and certifications. Connect Microchip WINC1500 Wi-Fi b/g/n, the ATSAMD21 Cortex-M0, and the ATECC608A secure element to start prototyping industrial-grade designs with security in mind on a light-embedded system. Tantiv4's T4G-Q4020 GCP Integration Development Kit is based on the Qualcomm IoT QCA4020 chipset. Using Tantiv4's ThingaOS solution, connect Qualcomm's QCA4020-based M20 board with M4 Application processor and seven on-board sensors to Cloud Pub/Sub and other services. Build a secure cloud-connected node quickly and easily with the AVR-IoT WG development board, a perfect starting point for engineers creating almost any IoT device, ranging from wireless sensor nodes to intelligent lighting systems. This plug-and-play solution combines a cost-effective 8-bit AVR microcontroller (MCU), a CryptoAuthentication secure element, and a fully certified Wi-Fi module to provide a simple and effective way to connect embedded applications to Google's Cloud IoT Core platform. Mongoose OS IoT starter kit is based on the ESP32 board. Contents include: Assembled ESP32 featherboard (WiFi and Bluetooth), DHT22 temperature-humidity sensors, magnetic contact switch (door sensor), PIR (motion) sensor, photocell light sensor, Piezo Buzzer, Micro Servo, diffused RGB (tricolor) LED. Mongoose OS IoT starter kit is based on the TI CC3220 board, contents include: CC3220SF LaunchPad - low-cost IoT development board. It has buttons, LEDs, onboard Bosch BMA222 accelerometer, and onboard TI TMP006 temperature sensor. Everything you need to prototype an IoT device and connect it to Cloud IoT Core. This kit comprises a Raspberry Pi3, GPIO breakout cable, breadboard, cables, and wealth of sensors and actuators. The Marvell MACCHIATObin is a first-of-its-kind cost-effective, high-performance networking community board targeting ARM 64-bit high-end networking and storage applications, powered by Marvell quad core ARMADA 8040 software. Offering includes U-Boot, UEFI, Linux, Yocto, netmap, ODP and DPDK, and more. The MACCHIATObin ClearCloud 8K is a robust plug-and-play solution designed in partnership with Marvell. It harnesses a powerful quad Cortex-A72 1.6 GHz processor, up to 16 GB DDR DIMM4, dual 10 GbE, 3 x SATA 3.0, USB 3.0 connectors, and PCIe x4 3.0 slot — all housed in a unique fanless enclosure. Marvell ESPRESSObin is a high-performance 64-bit dual-core networking and computing platform based on ARMv8 architecture, powered by Marvell dual-core ARMADA 3700. It has low power consumption and runs up to 1.0 GHz, a perfect fit for a wide variety of applications like IoT gateways, storage, and home networking. The kit includes the Intel® NUC DE3815TYKE. It features the Intel® Atom™ processor E3815, a thermal design power (TDP) at only 5W, and is pre-installed with the Intel® IoT Gateway software. This Linux-based OS system is designed to help developers prototype, develop, and deploy a use case. 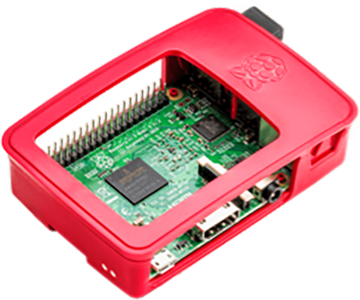 Includes the TechNexion Pico i.MX6UL System on Module based on the ARM Cortex -A7 i.MX6 UltraLite Processor with Pico Pi development board. Enables the developer community and small and large enterprises to explore the full potential of Android Things and its ability to accelerate time to market for IoT devices. mangOH Red is a new category of open-source hardware platform designed for low-power IoT use cases in a smaller, lower-cost form factor. From idea to prototype to production, mangOH Red provides an industrial-grade, sensor-to-cloud platform for building wireless IoT solutions. Banana Pi BPI-M64-R18 is a 64-bit quad-core mini single-board computer powered by Allwinner R18. It features 2 GB of RAM and 8 GB eMMC. It also has onboard WiFi and BT. On the ports side, the BPI-M64-R18 has two USB A 2.0 ports, one USB OTG port, one HDMI port, one audio jack, and lastly a DC power port. Quad-core ARM Cortex A53 64-bit Allwinner R18 processor. Equipped with 2 GB LPDDR3 system memory and 128 MB SPI boot Flash, optional eMMC module, and microSD booting capability. It provides PI-2 GPIO Bus, Euler GPIO bus, and additional interfaces like UART, SPI, I2C, for integration with sensors. Ameba RTL8195AM is a Wi-Fi SoC with a low-power-consumption mechanism ideal for IoT (Internet of Things) applications. It combines 32-bit Arm Cortex-M3 MCU, up to 166 MHz with 1 MB ROM, 2 MB SDRAM and 512 KB SRAM and integrated with 802.11 b/g/n 1x1 Wi-Fi in a single chip. ADLINK's Matrix MXE-211 enables data capture from operational technology at the edge via a range of protocols. ADLINK EdgeTM software then streams this data securely to GCP. The MXE-211 ultra-compact embedded device features the Intel Atom® x5-E3930/x7-E3950 Processor and delivers optimum I/O design for maximum connectivity. ADLINK's MCM-100 machine condition monitoring device captures vibration data for rotating machinery and equipment at the edge. ADLINK EdgeTM software then streams this data securely in real time to GCP. MCM-100 features Intel Atom® x7-E3950 processor and built-in four-channel, 24-bit high-resolution analog input. ADLINK's NEON-1020 captures monochrome image data to support machine vision applications for inspection, measurement, and guidance. ADLINK EdgeTM software then streams this data to GCP. Features Intel® Atom™ Quad-Core processor in a rugged IP67-rated housing. 2MP with frame rate of 120 fps and advanced image-processing support. Flexible vision library software access provided. ADLINK's NEON-1040 captures monochrome image data to support machine vision applications for inspection, measurement, and guidance. ADLINK EdgeTM software then streams this data to GCP. Features Intel® Atom™ Quad-Core processor in a rugged IP67-rated housing. 4MP with frame rate of 60 fps and advanced image-processing support. Flexible vision library software access provided. ADLINK's NEON-J captures color image data to support machine vision applications and access machine learning. ADLINK EdgeTM software then streams this data to GCP. Features NVIDIA Jetson TX2 processor, including 256 core pascal NVIDIA GPU to support Deep Learning Inference. 2MP with frame rate of 60 fps and advanced image-processing support. NEXCOM's NISE 50-IoT series is designed to acquire data from PLCs or devices in the field and upload or push it to Google Cloud. The NISE 50 GCIOT Ready IoT Gateway can also perform simple logic control with its own compute resources. With this acquired data, it can help users improve their process parameters or predict the machine's maintenance schedule to reduce downtime. IoT-Studio, which is a built-in application, speeds up the development and reduces time to deployment. NEXCOM's Integrated with sixth-generation Intel® Core™ i processors, NISE 3800 series is the Google Cloud Ready edge controller with fanless PC designed for open real-time industrial applications that demand high CPU and graphics performance. NISE 3800 offers a comprehensive and easy-to-use application configurator for system development and debugging to speed up development cycles. Xirgo's XT5273A device uses the LTE-M network and interfaces with Google Cloud to provide users with a "connected" button. The XT5273A is an IP66-rated device with a button that supports single, double, and long-press clicks. The tri-color LED provides feedback to users for button press status. This button has wide applicability in industrial, equipment rental, and industrial use cases. Google Cloud's IoT catalog connects partner hardware with new customers. 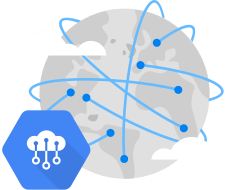 Increase leads, showcase GCP cloud capabilities, and build credibility when you make your devices and kits a part of the Google Cloud IoT ecosystem. Check out the quick start and device partner integration guides. Or learn more about Cloud IoT Core and Cloud IoT Edge.